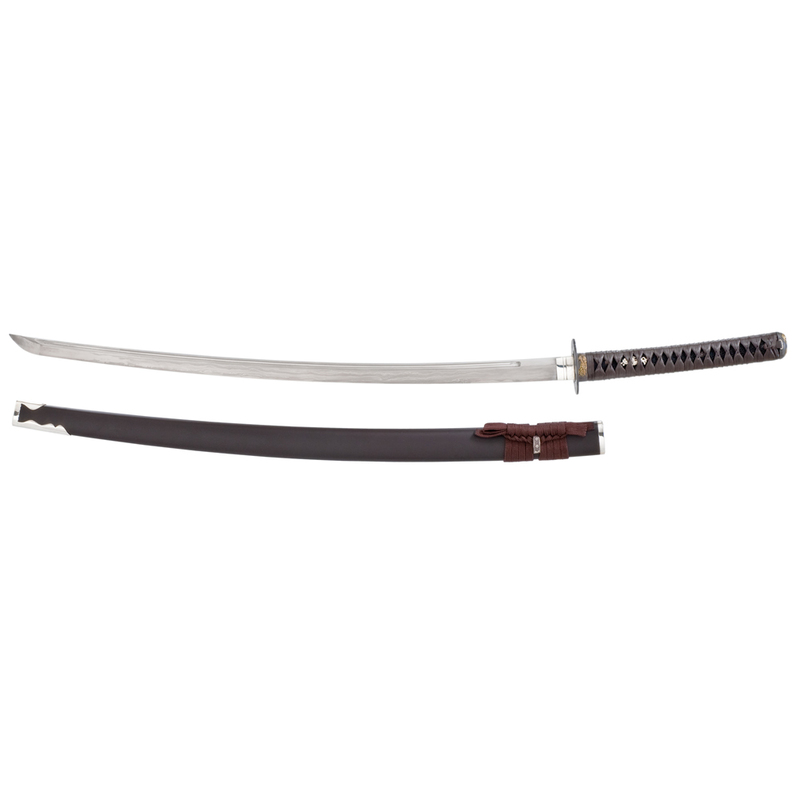 Cannot Sell on Ebay M.A.P(Minimum Advertised Pricing)Pricing for this item is $2199.00 Item Cannot be Advertised for less than MAP Strictly Enforced BLADE – Koto style ,High Carbon steel forged and folded 1024 layers,please see the blade structure image. clay coated,heat treated,hand polished. 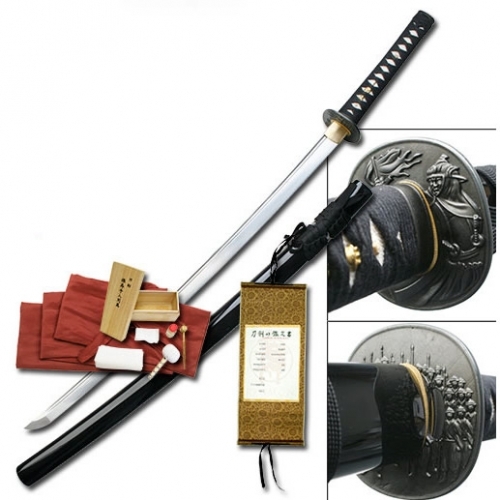 With full bohi.Hardness 60 HRC(Edge) 35HRC(Body) .KOSHIRAE – Elegant Koto style brown matt saya, Silver 92.5% Koiguchi Kurikata and Kojiri,Dark brown genuine cow leather tsuka- ito, Brass Fuchi / Kashira(SHISHI Motive), silver SHISHI Menuki , Copper Classic Tsuba, silver seppa and Habaki. 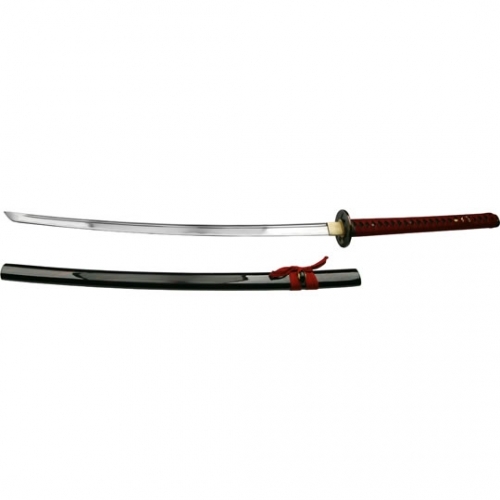 This sword is extremely sharp and can be completely disassembled for full maintenance. Blade is clay tempered , water quenched(not oil) and hand polished and dark brown gross saya Traditional tsuka cheated with black gross genuine rayskin.More safty confident with 2 mekuji. 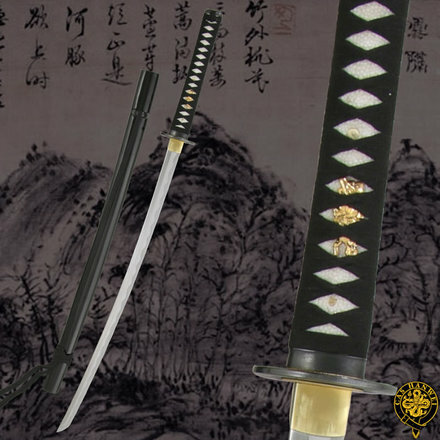 japanese high cabon steel clay tempered then quenched in the water.Polishing live blade,razor edge and notarae hamon and HADA1024 layers of soft steel.This blade is fully option and feeling of luxury. 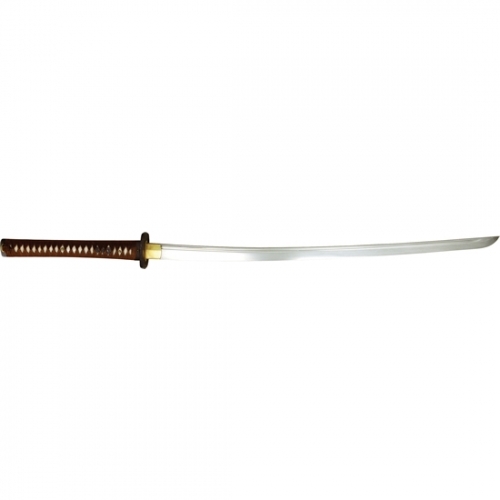 neat and straight MUNE.